You can cast an object to another class type, but only if the current object type and the new class type are in the same hierarchy of derived classes, and one is a super-class of the other. Upcasting and downcasting are important part of java. The concept of Polymorphism can help you to better understand the meaning of upcasting and downcasting. This would work just as well. The compiler is always prepared to insert a cast to a superclass type when necessary. In simple term, we define polymorphism as " Having multiple forms" or " Having many forms". Consider the following. Ask yourself what is rectangle? Most would say its shape. A square, circle and a triangle are also shapes. What I'm saying is that shape can take many forms or has multiple forms. 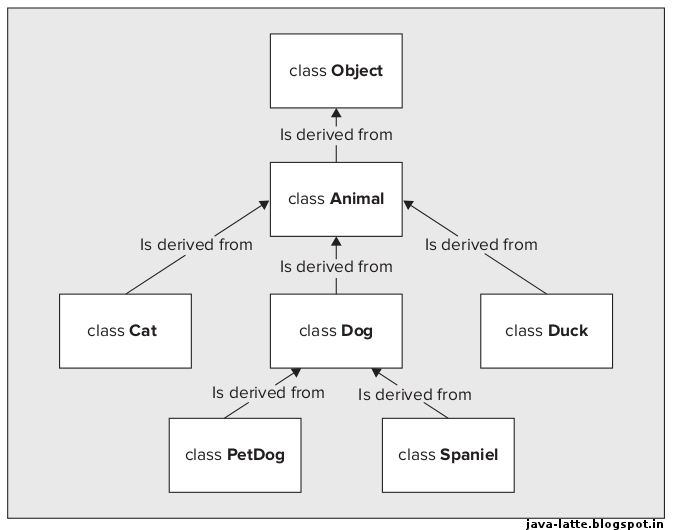 Class inheritance is not just about reusing classes that you have already defined as a basis for defining a new class. It also adds enormous flexibility to the way in which you can program your applications, with a mechanism called polymorphism. So what is polymorphism? First we create a base class shape. This base class implement a constructor that will accept 2 arguments and a method that will draw out shape. We need to make out method draw() to behave polymorphically. First, you must understand, that by casting you are not actually changing the object itself, you are just labeling it differently. For example, if you create a circle and upcast it to shape, then the object doesn't stop from being a circle. It's still a circle, but it's just treated as any other shape and it's circle properties are hidden until it's downcasted to a circle again. As you see circle is still exactly the same after upcasting, it didn't change to shape, its just being labeled as shape. This is allowed because circle is a shape. There is no need to do upcasting manually, its allowed to do. Why upcasting is automatic and downcasting is manual because upcasting never fail. If you group of different shapes and want to downcast all of them to circle, then there may be chance, that some of shape are rectangle and code fail by throwing ClassCastException. You can store circle as a shape, and you can downcast it to circle when appropriate but doing this might be a sign of bad design. 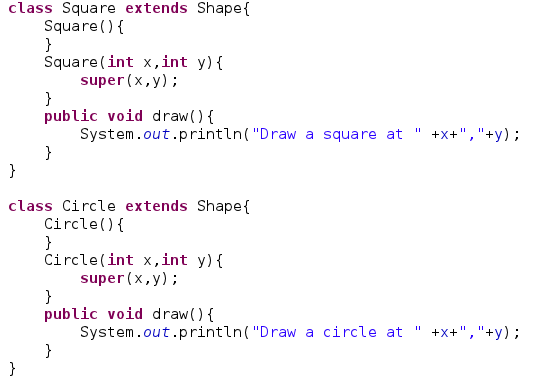 On the other hand, compiler will let you to cast "s" to a circle, but you'll get a runtime error because the instance isn't actually a circle. You will have cause to cast objects in both directions through a class hierarchy. 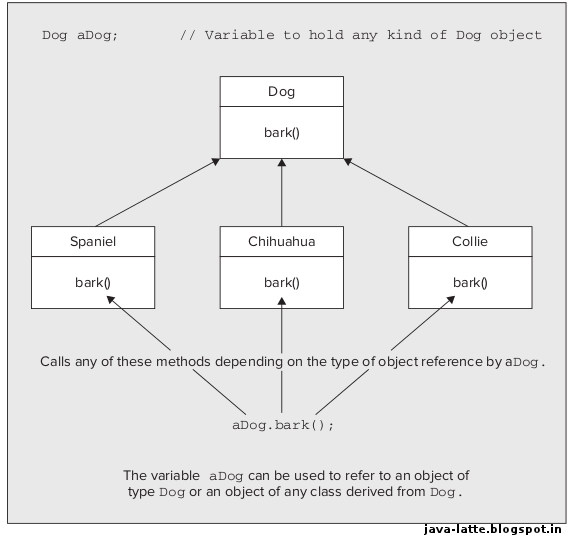 You want to cast up through a hierarchy is to pass an object of several possible subclasses to a method. By specifying a parameter as a base class type, you have the flexibility to pass an object of any derived class to it. 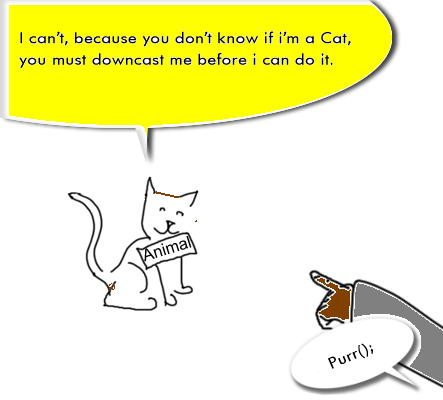 You could pass a Dog, Duck, or Cat object to a method as an argument for a parameter of type Animal. The reason you might want to cast down through a class hierarchy is to execute a method unique to a particular class. 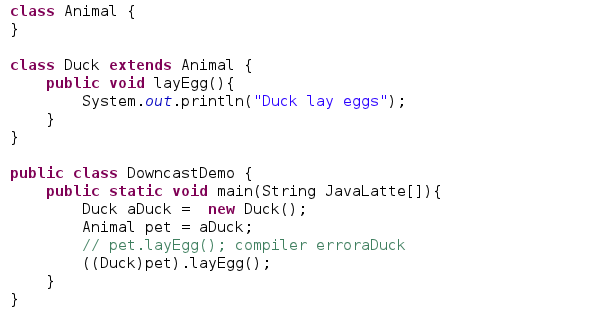 If the Duck class has a method layEgg(), for example, you can't call this using a variable of type Animal, even though it references a Duck object. As I said, casting downward through a class hierarchy always requires an explicit cast. The object pointed to by aPet is first cast to type Duck. The result of the cast is then used to call the method layEgg(). If the object were not of type Duck, the cast would cause an exception to be thrown. Casting is also used for Boxing and Unboxing conversions. especially it may be useful for achieving Boxing conversions.